Hoi Polloi Brewpub and Beat Lounge As the afternoon sun begins its slow descent into the nearby Pacific, you would be hard pressed to find a more perfect spot than on Berkeley’s tree-lined Alcatraz Avenue, perched upon a stool, with a brew in hand at the marble counter of Hoi Polloi Brewpub and Beat Lounge. If you are lucky enough to be one of the brewery’s first guests when its doors open in the afternoon, then you will have the chance to chat with owners and brothers Viet and Giap Vu about their dozen or so microbrews, or simply enjoy the quietness of the industrial chic pub as regulars begin to trickle in. Opening its doors in May 2014, Hoi Polloi has a large following of locals from around the neighborhood, thanks in equal measure to the inviting, casual spirit of the small pub, as well as to the truly exceptional beers that are served here. Expect to find ten or so of the pub’s own brews on tap, in addition to a handful of rotating guest pours. The Vu brothers’ original passion for micro brewing grew from their father’s own brewing business. Viet took his interest to the next level by completing a Master Brewer’s program in Chicago and Germany. Nowadays, thanks to his dedication to the craft, patrons can expect traditional renditions of classic beer styles. 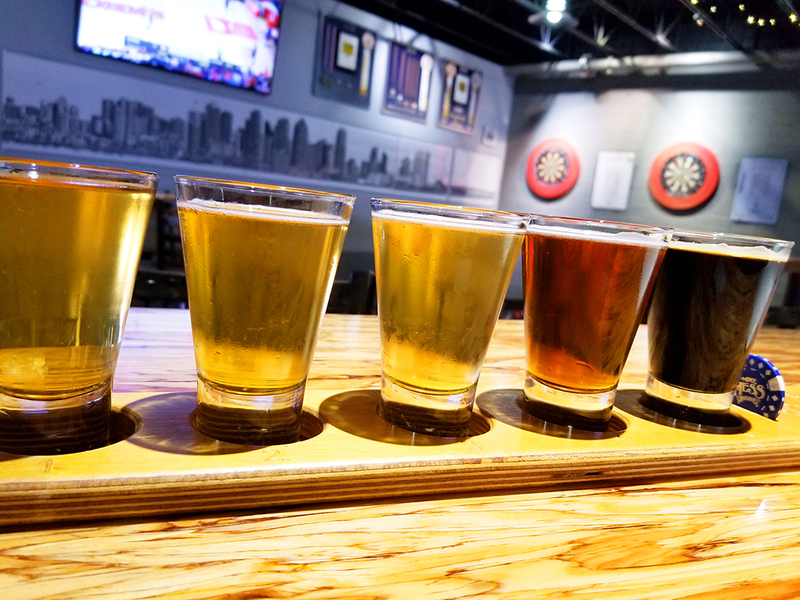 In the spirit of Hoi Polloi (meaning “the masses”, as owner Viet says, “We represent everyone.”), the brewery strives to brew beers that are accessible to most palates; don’t expect a menu full of extreme versions of passing trends. Rather, old-world production methods are held in esteem, resulting in extremely drinkable, balanced brews. IPAs are aromatic and easily enjoyed; sours are crisp and refreshing with a completely approachable acidic edge. Beers are produced with local water, allowing the presence of the area’s terroir to shine in every batch. While Hoi Polloi originally brewed in the back of the pub, demand has grown to such a level that beer production has been moved offsite to a local facility down the street in Oakland. With the equipment moved out, patrons have a bit more room to sprawl in the narrow pub’s limited space. The design, like the beers themselves, is balanced and approachable. Industrial nods, like metal bar stools, an exposed brick wall, white subway tile, and retro light fixtures, are complemented by the gorgeously buffed white marble bar and darkly stained wooden plank ceiling. A large projector screen takes up a generous part of the wall overlooking the bar, and depending on the bartender’s mood, customers can expect to see anything ranging from mainstream movies, to documentaries, to some quirky, esoteric film. While afternoons tend to be calm at Hoi Polloi, weekend evenings can draw in the crowds, especially on monthly Fridays when DJs can be found spinning on the pub’s two record players. Hoi Polloi does not have a kitchen, but customers can enjoy freshly popped and seasoned popcorn throughout their time at the bar. And if the hankering for a more substantial meal hits before you are ready to take your leave, the pub invites guests to visit one of the nearby restaurants and bring food back to enjoy alongside the beer. 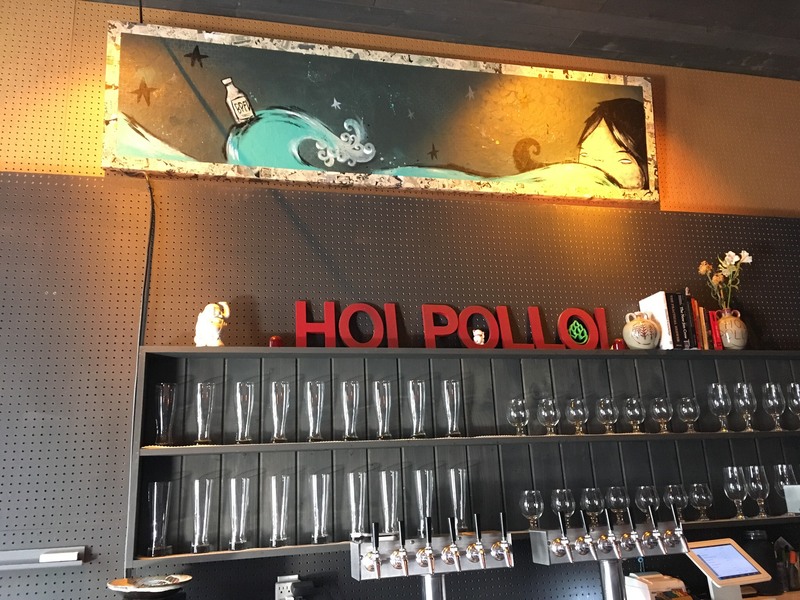 Beyond its expertly crafted beer, Hoi Polloi has a legion of loyal regulars thanks to its personality and the vision that has gone into creating it. From the careful consideration of ingredients and brewing techniques, to its welcoming ambiance and low-key, yet attentive staff, here is a pub that we all wished were on our own street. Jennifer Telfeyan is a Bay Area based food and travel writer. She received her master’s degree from the University of Gastronomic Sciences in Italy, and spent the next seven years discovering the best food and wine that Italy has to offer.